New Zealand's spectacular brown trout fishery is famous the world over, and it is not at all uncommon for those who have experienced it once to begin making annual pilgrimages year after year. 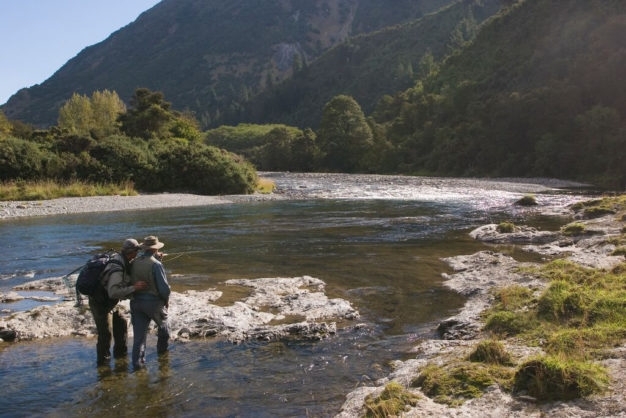 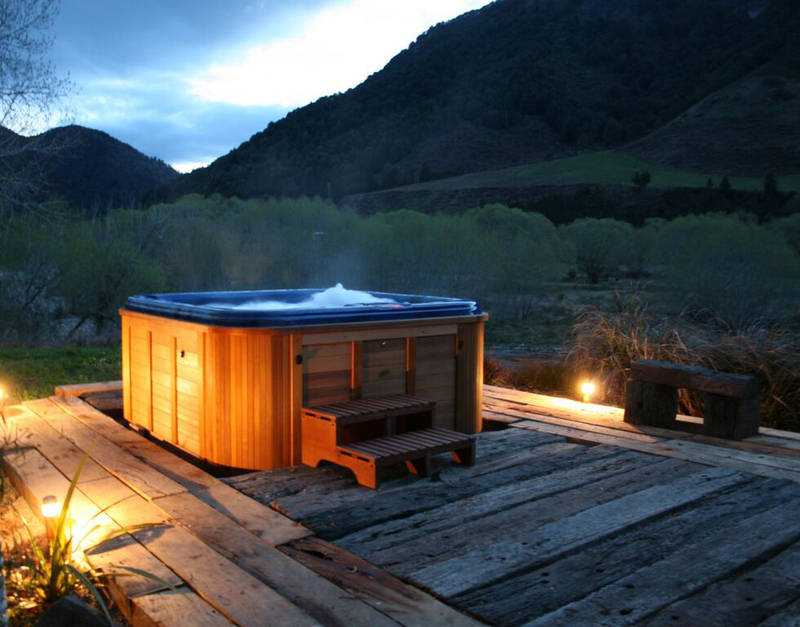 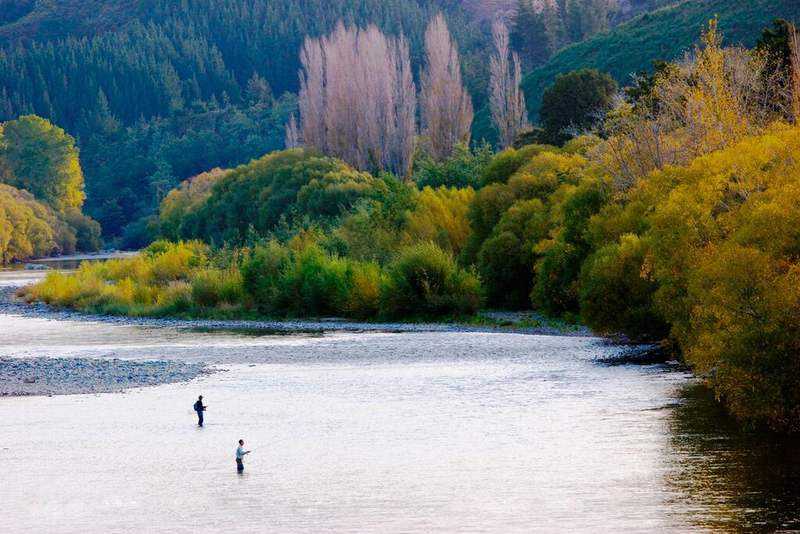 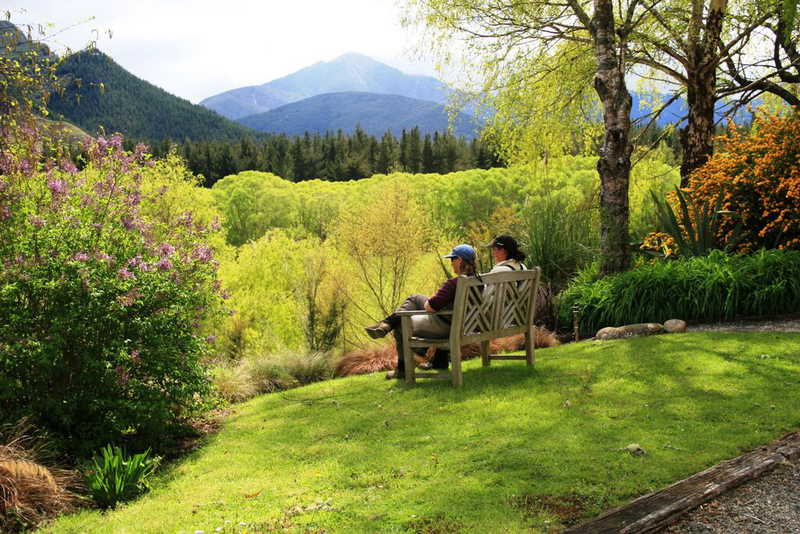 Tucked away on the border of Kahurangi National Park, right in the middle of the South Island's greatest concentration of top-notch flyfishing waters sits Owen River Lodge, a truly five star operation situated on sixteen acres of beautiful riverfront property. 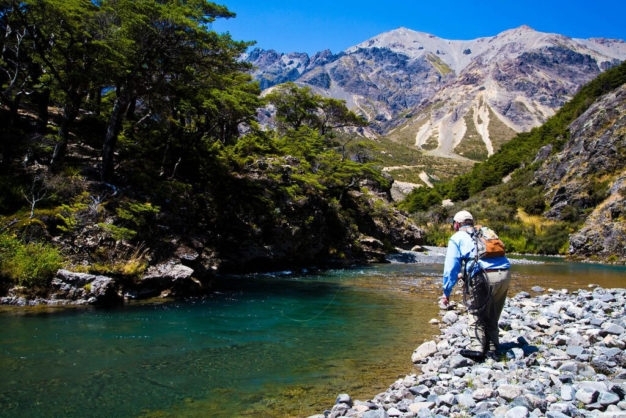 What sets this destination apart is its location, with over thirty different first class streams and rivers available to its guests within short driving distance, plus another dozen or so within the national park just a quick helicopter flight away. 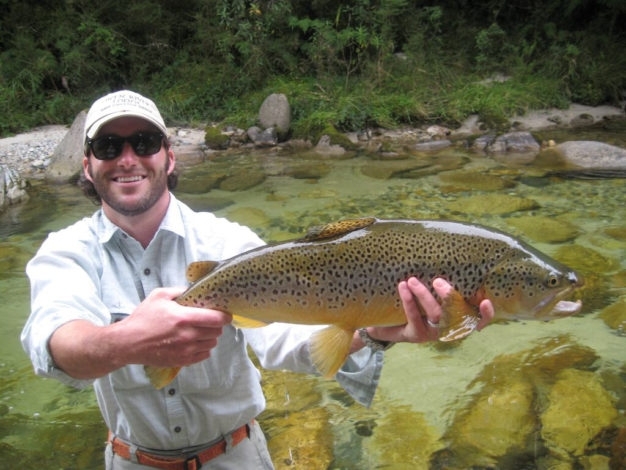 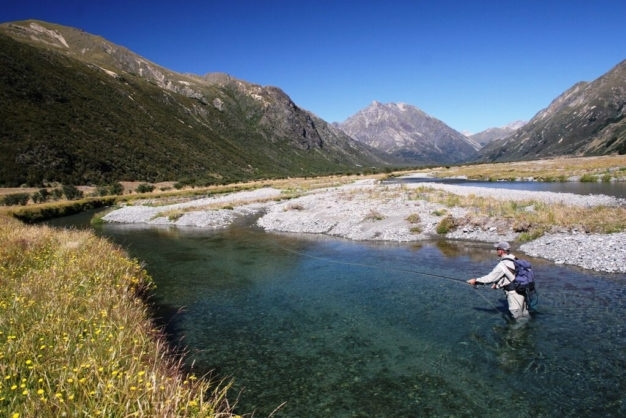 Everything from small spring creeks to the most classic New Zealand freestones are all within reach for our anglers here, and the lodge also offers a full time professional staff and a host of non-angling activities for those accompanying our flyfishing guests. 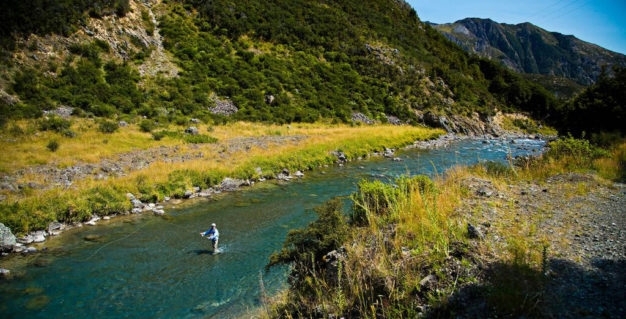 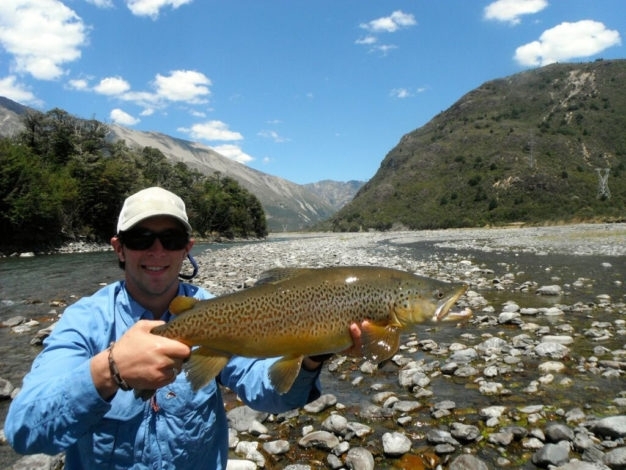 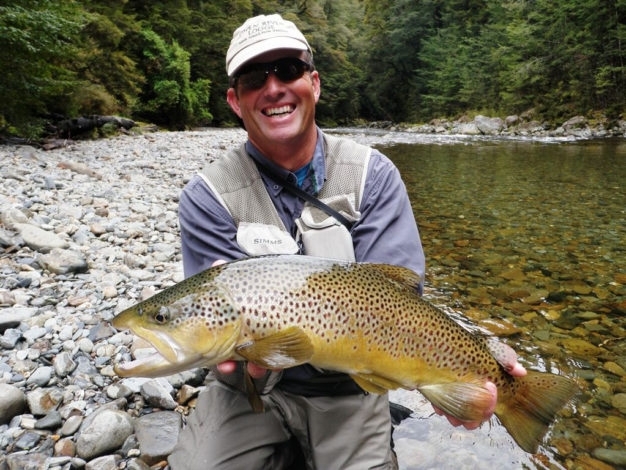 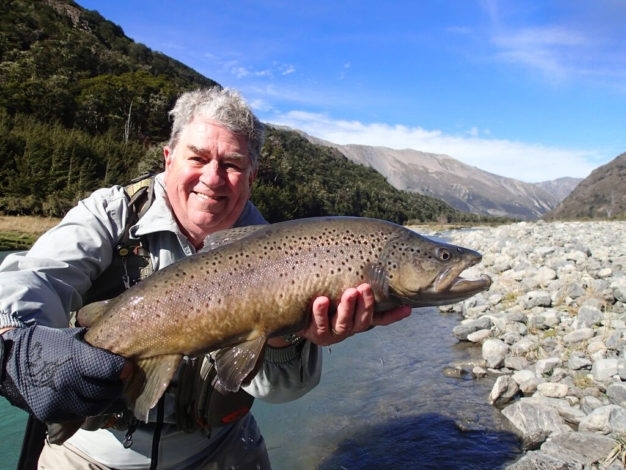 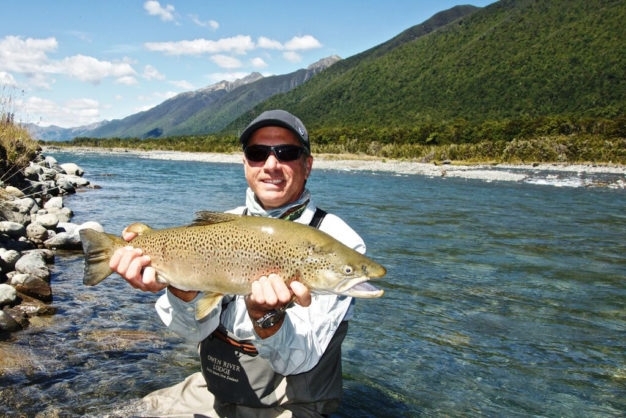 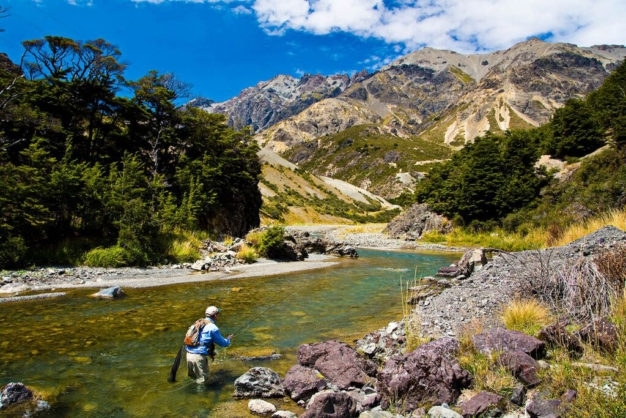 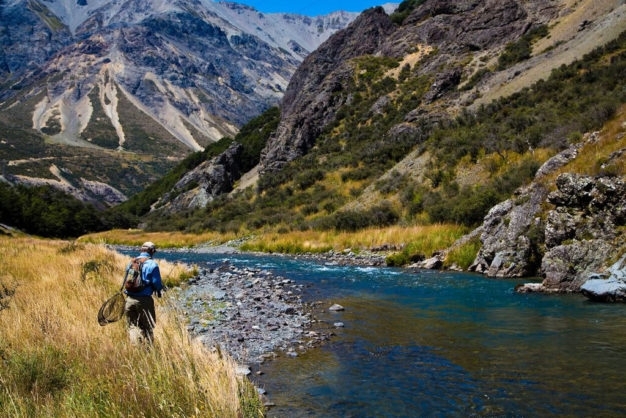 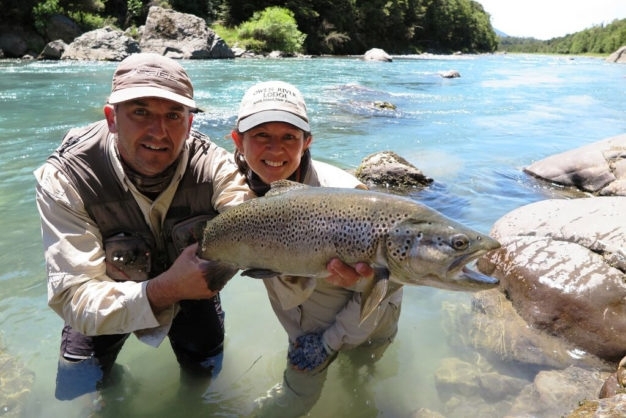 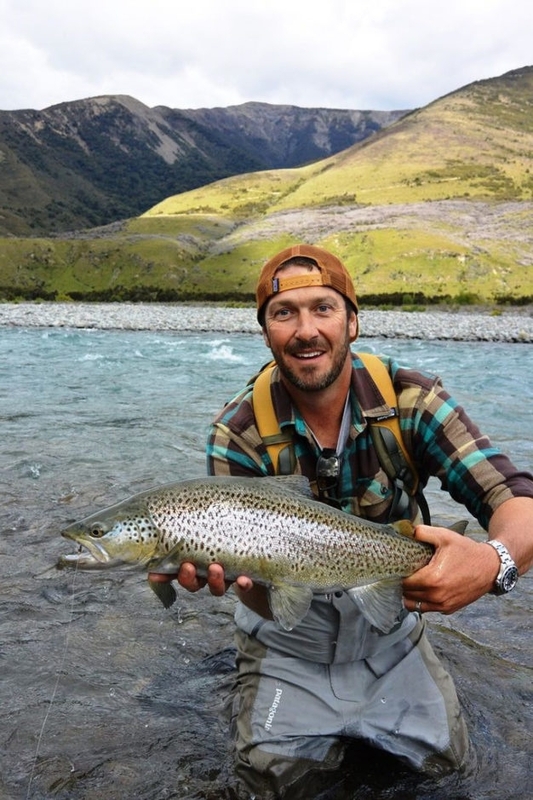 Since the late 1940's New Zealand has steadily climbed to the top of the world's list of classic destinations for sight fishing to brown trout of unusual size. One of the things that generally goes along with that reputation though, are the stories of helicopters being necessary for access to the rivers. 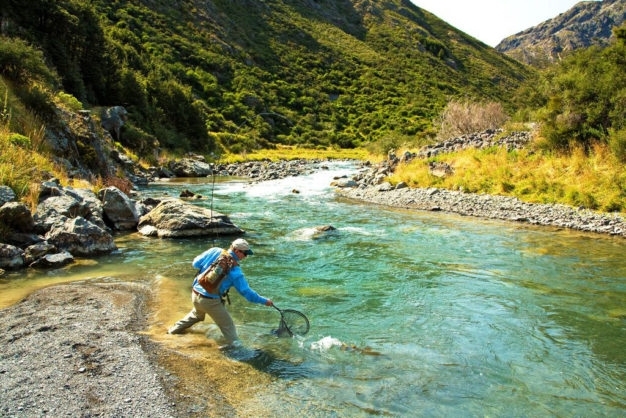 Owen River Lodge is the exception to this rule, situated in the midst of over thirty different waters all of which are accessible by road, and then augmenting that catalog with another dozen or so that are fly outs, thus presenting our anglers with an exceptional catalog of waters from which to choose . 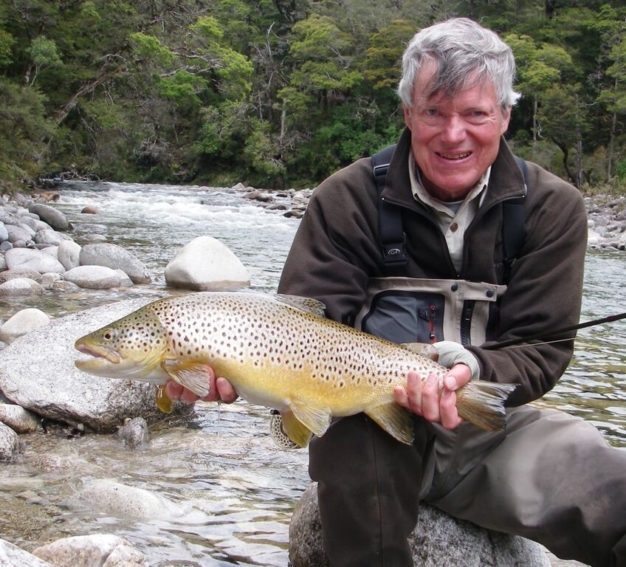 Average fish sizes are in the range of three to six pounds, but browns of over ten pounds are commonly caught from our gin clear local waters. 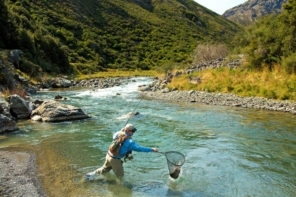 Essentially all of the fishing from Owen River Lodge is to sighted fish, not necessarily requiring much in the way of distance casting, but generally somewhat demanding in terms of accuracy and delicacy of presentation. 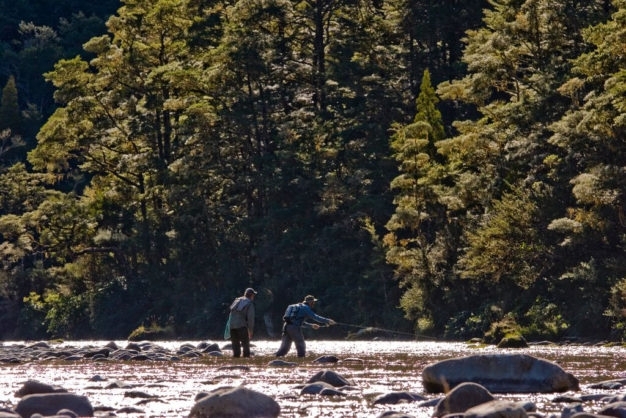 Dull colored flylines and long leaders with fine tippets are the order of the day here, and generally there is never any need for rods outside the five or six weight range; a truly classic set up for dedicated sight fishing purists. 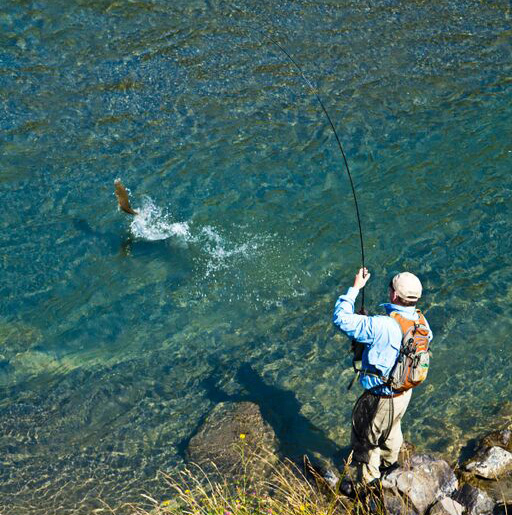 The first part of the season has its disadvantages, but also its advantages, and these can be considerable. 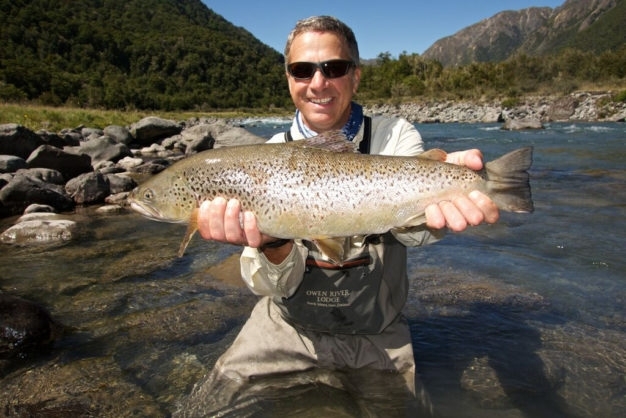 For all that our fish see very few anglers throughout the year in general, they do have strong memories, and so when they haven't seen an artificial fly in many months they are often much more eager to rise to the ones that we present to them. 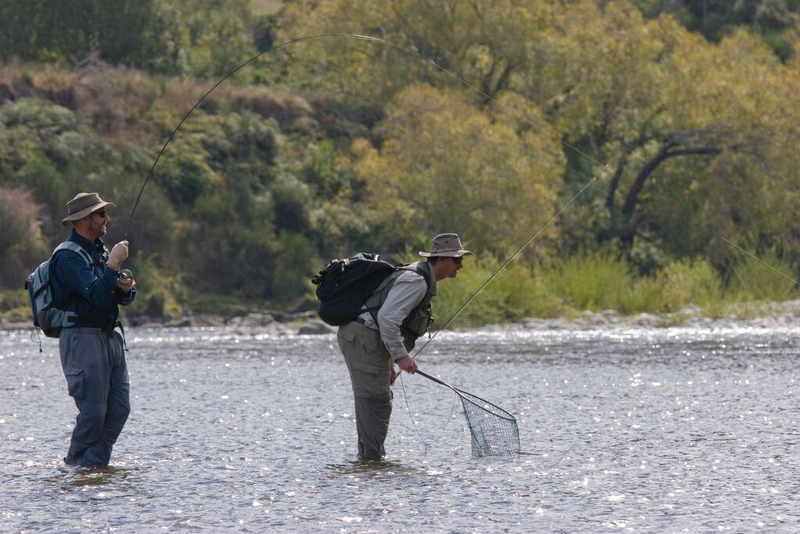 Some of our rivers may be high (although still quite clear and fishable) in the early season, but this same elevated water level is an enormous advantage when it comes to fishing the smaller streams. Generally during this time of year we fish both dry flies and nymphs, and half of the time on the water is devoted to each technique. 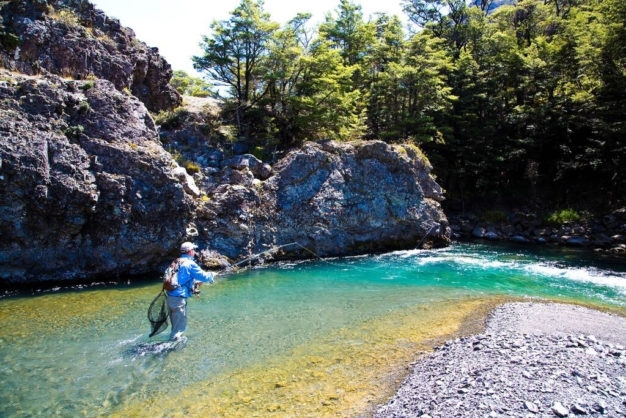 So for anglers who are interested in nymphing, or who are particularly fond of smaller waters, early season can be just the ticket to exactly what they are looking to experience. 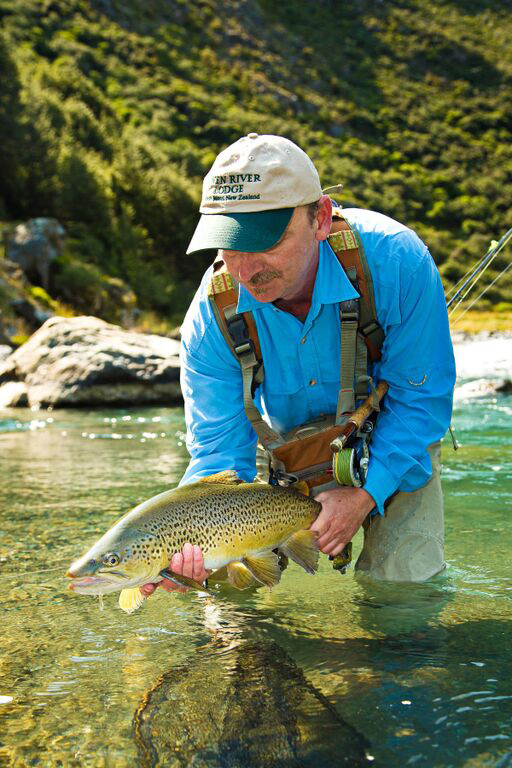 Summer is our busiest time of year, although busy in terms of fishing pressure doesn't mean too much in this area of New Zealand. 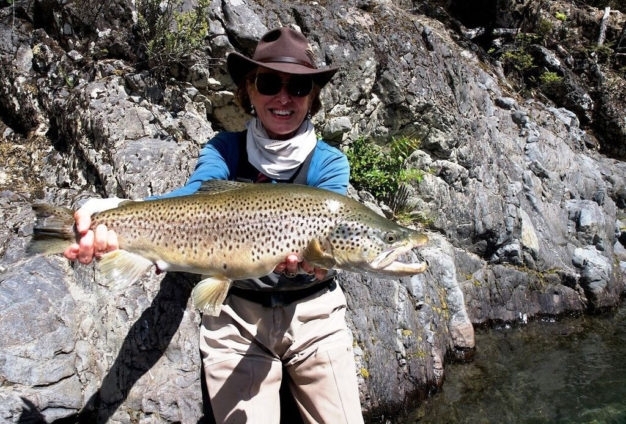 River levels have dropped to their normal flow rates, bugs are hatching, and it is classic dry fly fishing weather almost every day. 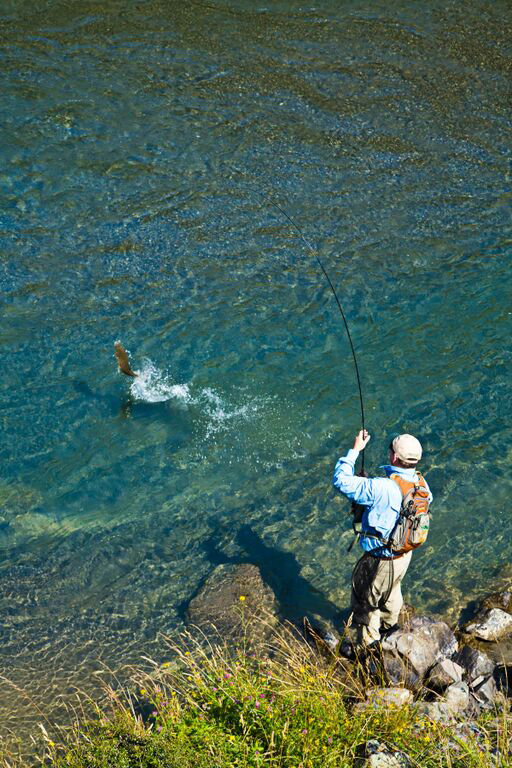 Cicadas are our main go-to during this time of the year, along with blowflies, and Adams patterns, but there is a wide variety of dry fly approaches that will bring these fish to the surface. 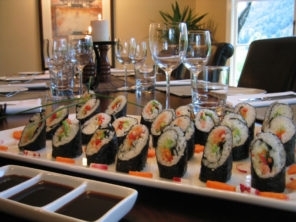 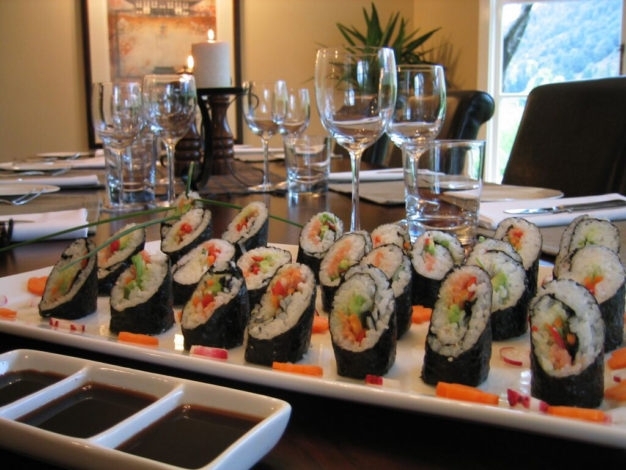 Stealth, accuracy, and delicacy of presentation are the orders of the day during summer, but the results are usually nothing short of spectacular. 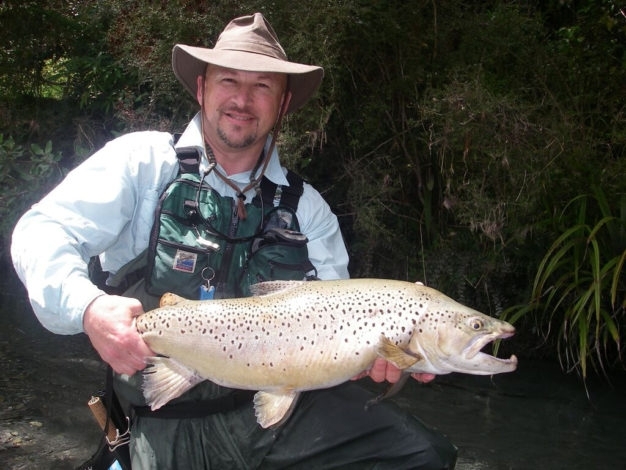 April is autumn in the southern hemisphere, and autumn is when brown trout begin to pack on the pounds for winter, and also to begin thinking about the spawn, which tends to make them very, very aggressive. 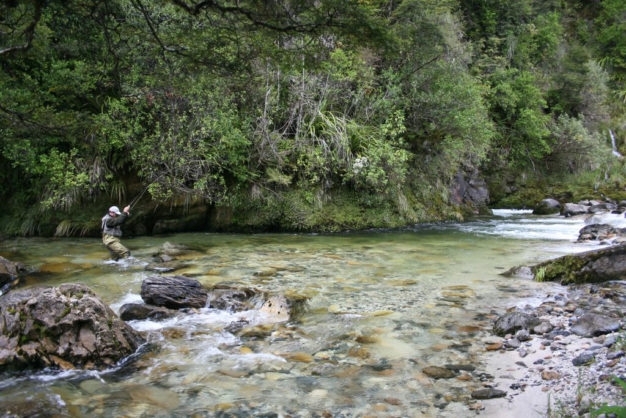 Mayfly activity actually increases in autumn here, allowing for a great deal of fun casting parachute Adams and small nymph droppers. Weather patterns are less stable in April for sure, but there are also fewer anglers on the river than at any other time throughout the season. 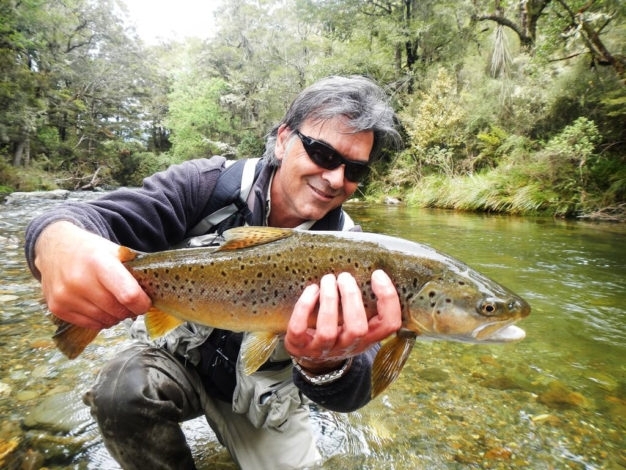 Our superb team of local guides all have over ten years of experience on the rivers we fish, (most have over 20 years experience) and are members of the NZPFGA – New Zealand Professional Fishing Guides Association. 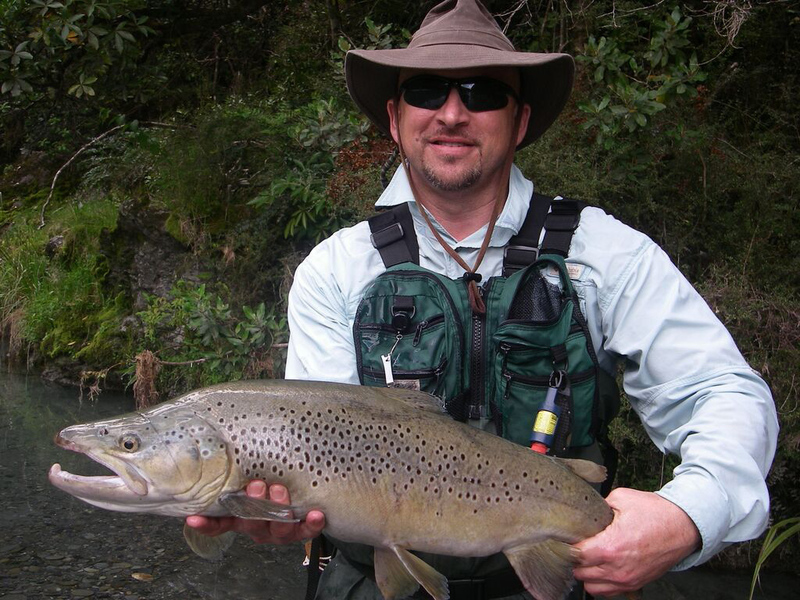 And they are all patient, excellent teachers eager to show you the best of what fly fishing in New Zealand is all about. 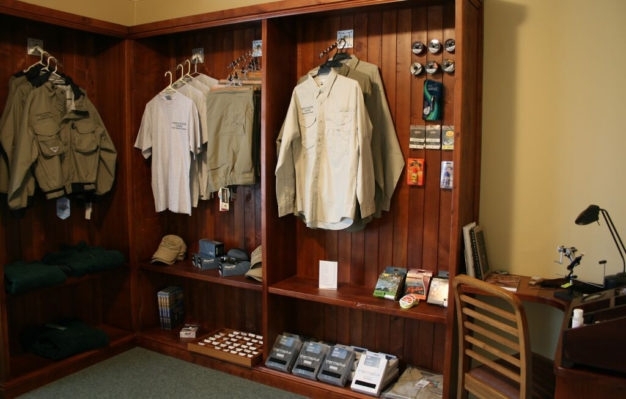 Owen River Lodge is one of only two lodges in the world selected by Sage as a fully authorized dealer, and a very well stocked fly shop on the property serves guests who wish to make purchases. That having been said, all the best equipment is available for loan throughout your stay, and packages include the use of any fishing gear you may need including Simms G3 Gore-Tex waders (ladies’ and men’s sizes available), Simms Gore-Tex wading jackets, Simms Guide and G3 wading boots - size 5 up to size 14, and a large range of current model Sage rods (One, Method, Accel & VXP) and reels. 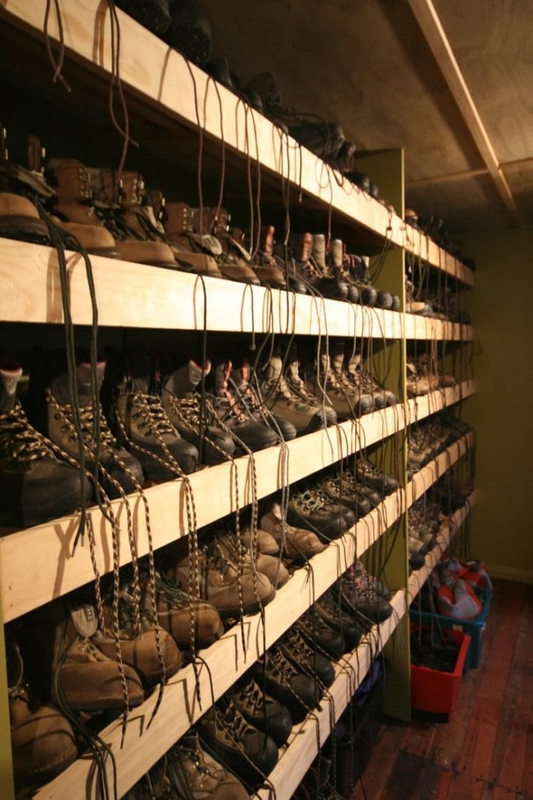 Most clients do bring their own gear, but rest assured that it is not necessary, and anything forgotten can be easily acquired. 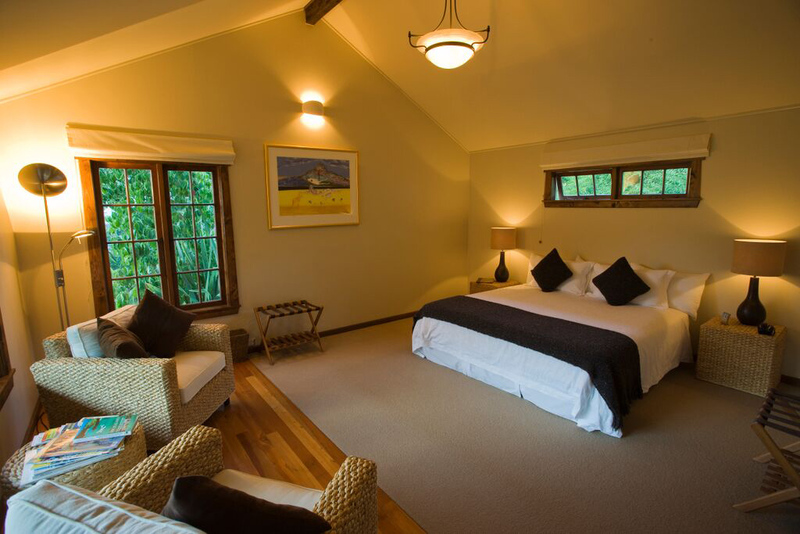 Owen River Lodge has six exquisitely designed private cottage suites, purpose built with both angling and non-angling guests' needs in mind. 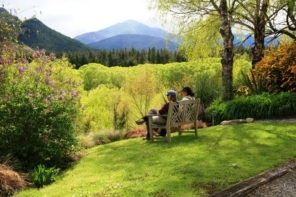 Each of them enjoys excellent views of the national park, as well as the river, and are a short walk from the main lodge itself. 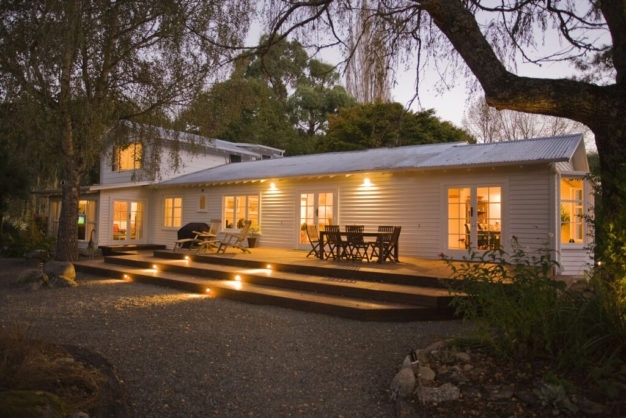 These cottages' designs emphasize natural light, accentuated by high ceilings and plenty of open space. 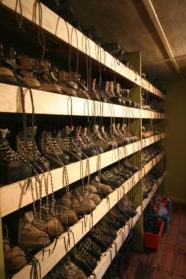 They all feature fine art works and 100 year-old recycled Oregon beams and woodwork. Each accommodation suite can be configured with either a king-size double bed or twin single beds, and is equipped with wifi internet, reverse cycle air conditioning, an electronic safe, ironing facilities, an alarm clock, mini bar stocked with complimentary soft drinks as well as premium New Zealand fruit juices and mineral waters, plus tea and coffee making facilities - with real freshly ground coffee beans. Each suite also contains its own spacious bathroom equipped with oversize towels, bathrobes, a hairdryer and, of course, quality New Zealand made shower gels, body lotion, shampoo and conditioner. The culinary team at Owen River Lodge believes that the best foundation for good meal preparation is excellency in ingredients. 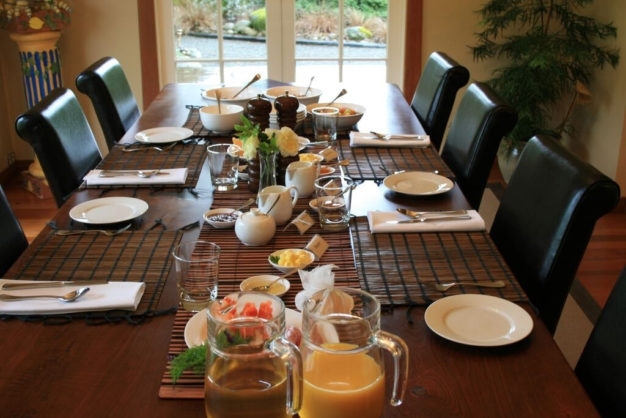 Organically produced local ingredients, many of which come from our own gardens, combined with international influences in preparation deliver a diverse menu or gourmet delicacies for each and every meal our guests enjoy. 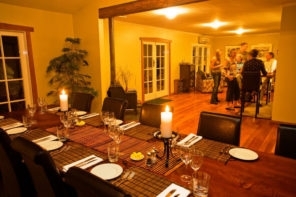 From classic Kiwi South Island dishes like roast lamb, to our diverse range of fusion dishes representing Māori, Polynesian, Asian and every kind of European influence, our years of experience thus far have seen no one disappointed in the cuisine. Breakfasts are as light or as complete as each guest would like them to be, with fresh fruit salads, our own lodge- made muesli/granola (following a secret recipe that’s been handed down by four generations of gypsies), fresh yogurt, jams and marmalades (again, made right at the lodge) and free range eggs from organically-fed chickens cooked any way you like. Lunches are served either on the river or at the kitchen bar for those who are not fishing, and tend to be a picnic-style sandwich or roll served with lodge-baked biscuits, as well as all the accompaniments necessary to insure that it is a real meal, not just a snack. Dinners are full on four-course affairs, with the whole lodge dining at a communal table and sharing stories from their days' adventures. 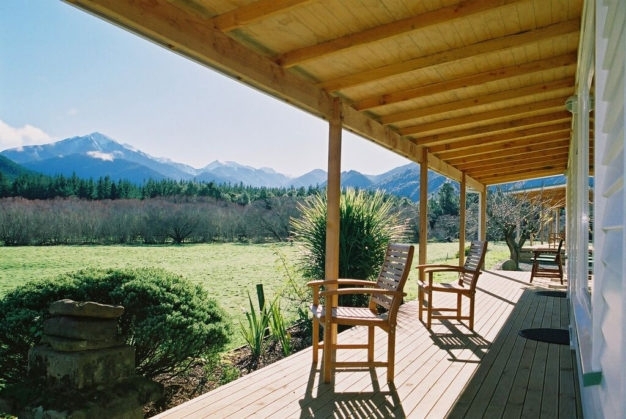 Owen River Lodge prides itself greatly on the quality and selection of its wines, and in fact the Nelson/Marlborough area produces what are arguably the best Sauvignon Blancs and Pinot Noirs in the world. Our wine list features wines from both local boutique and internationally-recognized vineyards. 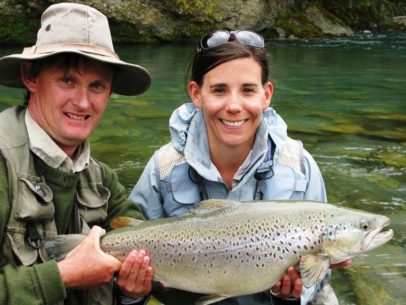 Flying - Arrival to Owen River Lodge for guests coming from outside New Zealand is best accomplished through Nelson (airport code NSN), for which arrangements can be made for our staff to pick up and drop back off at the airport. 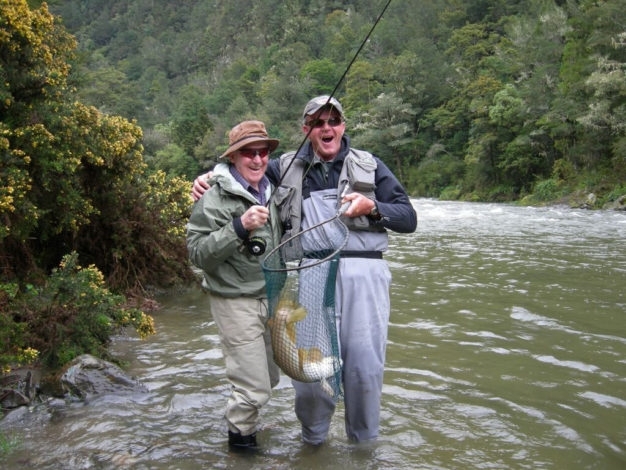 There are numerous flights into Nelson each day from Auckland, Christchurch, and Wellington. 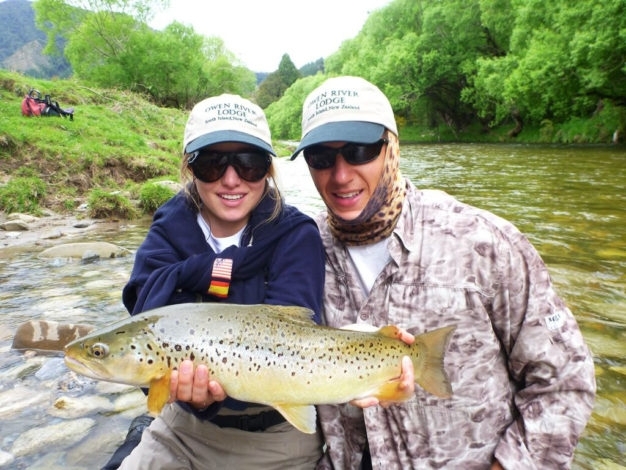 Contact a Hemispheres Unlimited trip planner today to look into available flight itineraries. 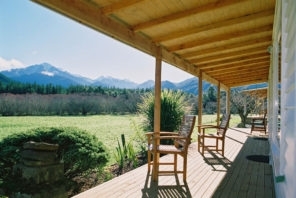 Driving - For those already in New Zealand to access the lodge - it is located 2 kilometers down a country lane from State Highway 6 (opposite the Owen River Tavern), 15 minutes north of Murchison, a leisurely 90 minute drive from Nelson or approximately 3.5 hours from Christchurch (depending on how many sheep get in the way during your drive). 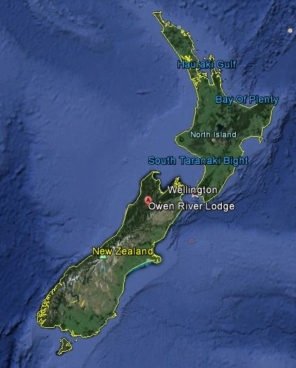 *Prices for these packages are quoted in New Zealand Dollars, but can be paid in US dollars calculated with exchange rates current on the dates of payments. 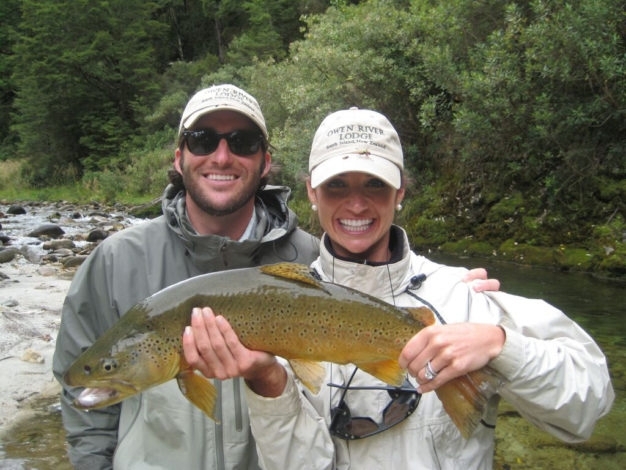 Included in these package rates are: Luxury accommodations, wifi access, local expert guides (one per angler), chef prepared meals, house wines and beers, fishing equipment, all lodge facilities, and daily laundry service. 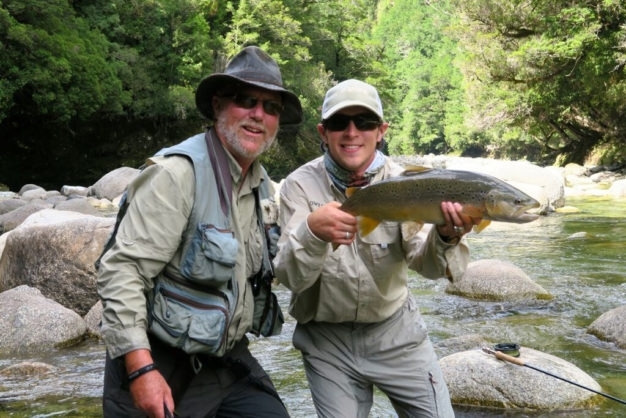 Not included are: Fishing licenses (can be purchased at the lodge), transportation to and from the lodge, optional helicopter service, and staff gratuities. 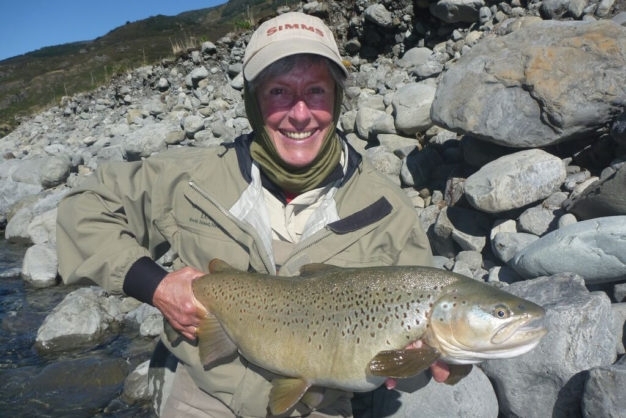 Contact us today for available dates and further details, and get started on your way for this dream-trip of a lifetime to New Zealand for an authentic five star experience at Owen River Lodge!